Resolutions- Part 2: Be Inspired! While I was thinking about New Year’s resolutions and goals, I hadn’t even considered the importance of being inspired. I was reading a story this morning about John Rhode, this year’s “Biggest Loser” winner, when I realized that being inspired is critical to success with goals. I am always inspired by people like John that accomplish great things. 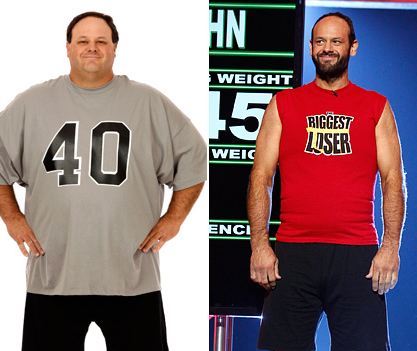 John lost 225 pounds and transformed his life! If I remember correctly, he said that he was motivated by thoughts of his family. He knew that his wife was at home and was struggling to take care of their two young children, so he wanted to make every moment count. There are many inspiring stories of people that overcame tremendous obstacles to reach their goals and fulfill their dreams. Erik Weihenmayer, in spite of being blind, climbed Mount Everest and later completed the “Seven Summits.” Bethany Hamilton, a competitive surfer that lost her arm in shark attack, returned to competitive surfing as soon as she could. For most of us, our goals probably do not include losing hundreds of pounds, climbing the world’s tallest peaks, or winning surfing competitions. Perhaps life’s greatest achievements are not those that are recognized by the world but are those simple victories that only the achiever knows about. Maybe our greatest accomplishment is to be our best self- to overcome selfishness, anger, pride, or whatever weaknesses we may have. I wonder if our greatest success could be to become a wonderful spouse, a terrific parent, an exceptional child, or a sensational sibling. Amy Purdy’s experience in the video below is inspiring. It is not a challenge to find inspiring examples; the challenge, at least for me, is avoiding distractions and having the discipline to consistently stick with goals until they become habits.